On busy days 25,000 people walk the cool, slightly shaded interior of the Sistine Chapel and gaze upward. Covering the ceiling is Michelangelo’s fresco of biblical stories and figures. Created over 500 years ago, one panel—The Creation of Adam—illustrates God imparting life to Adam as their fingers almost touch. That image is the most reproduced work of art ever created. This masterpiece would not exist were it not for the artist’s persistence and patience. Michelangelo’s sponsor, Pope Julius II, wanted the fresco done quickly to show the world his magnificent chapel. Michelangelo, however, would not be pressured. When will the fresco be complete, the pope would ask. “When I am finished!” the artist exclaimed over and over. Until the fresco was as perfect as he envisioned it could be, it would not be finished. It took Michelangelo four years to complete. Created in the image of God, each of us is a work of art in progress. Imperfect until perfected in Christ, we’re on a journey. God is patient with our progress. 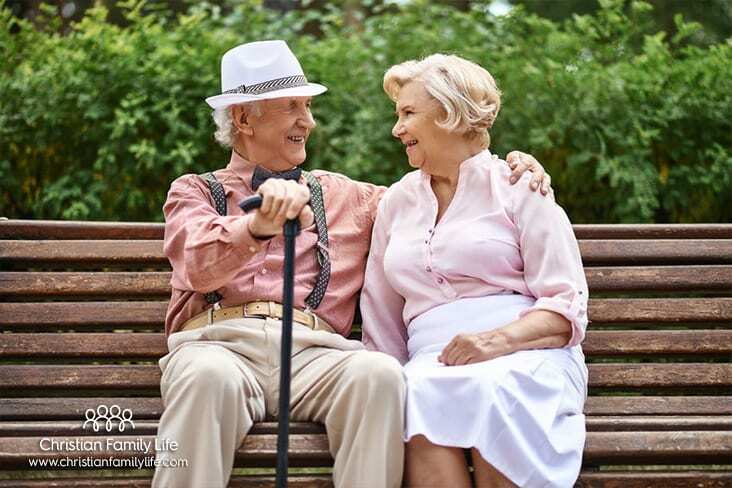 Are we being patient with ourselves and others, especially our spouses? 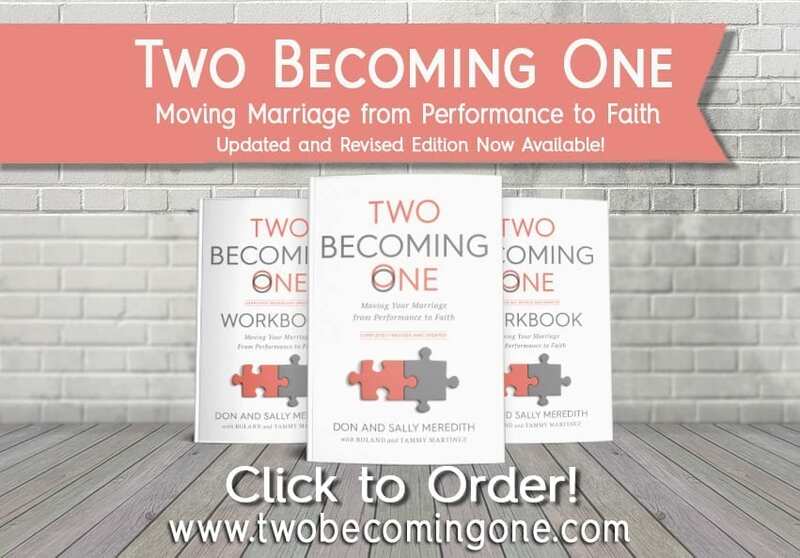 Patience is a valuable quality in marriage because two unfinished works of art are being perfected by the Holy Spirit. This is the process of sanctification. Patience with weaknesses in our spouse creates peace and joy in our relationship. We’re able to relax in the promises of God. “I am sure of this,” the Apostle Paul writes to the church in Philippi, “he who began a good work in you will bring it to completion at the day of Jesus Christ” (Phil. 1:6). In marriage, patience—the fourth fruit of the Spirit (Gal. 5:22)—is about taking the long view. When we try to perfect our mate we cause anxiety, tension, and doubt. The relationship becomes about performance. “Can my husband meet my standards?” or, “Will my wife ever stop doing that?” Disappointment, conflict, and bitterness soon enter the picture. When impatient, we’re taking the short view—in order to meet our expectations today we try to do the work of God and change our spouse. We’re meddling with his artwork, trying to hurry him along. The result can be harmful to our marriage. 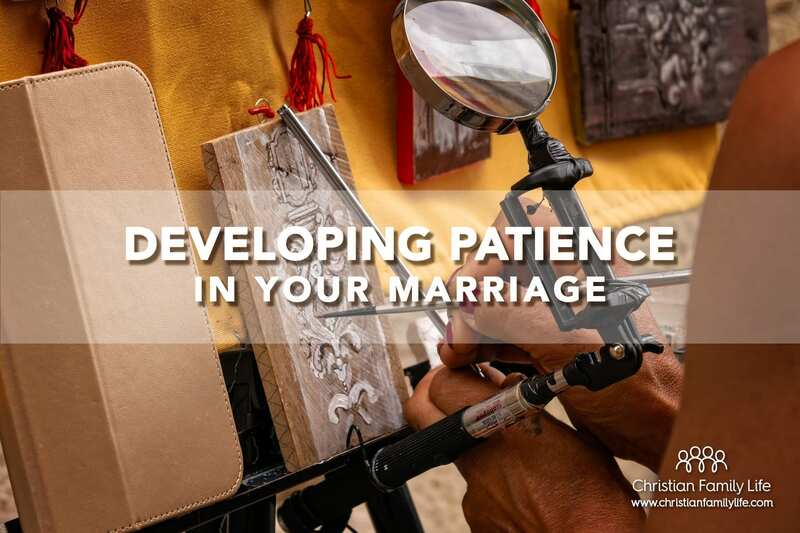 Are you practicing patience with your spouse? If you’re honest, probably not. Little in our culture cultivates patience. With a simple click, anything can be delivered to our home in a day or we can binge watch 20 episodes of our favorite TV show. We want immediate results from a diet. Often we bring this, “I want it now!” attitude into marriage. Sadly, this is not living according to the calling we’ve received in Jesus Christ to be “completely humble and gentle,” to, “be patient, bearing with one another in love” (Eph. 4:2). Patience is about following God’s plan and timetable, not our own. 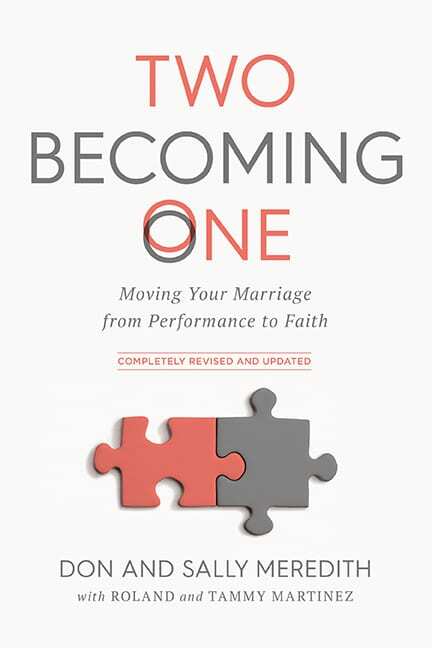 When patient, we view our marriage through the perspective of faith, not cultural or man-made standards. “The deepest spiritual lessons are not learned by His letting us have our way in the end, but by His making us wait, bearing with us in love and patience until we are able to honestly pray what He taught His disciples to pray: Thy will be done,” writes Elliot. God is working in your spouse. Spiritual growth is the result of what God has done, is doing and promises to continue doing. He is faithful to finish what he began and it will be complete. “Whoever is patient has great understanding, but one who is quick-tempered displays folly” (Prov 14:29). Each of us is unique, complex and on a journey. We become more Christ-like as we shed our sin and selfishness and draw closer to our Creator. You’re married to a masterpiece created by the living God, even when it doesn’t appear that way. 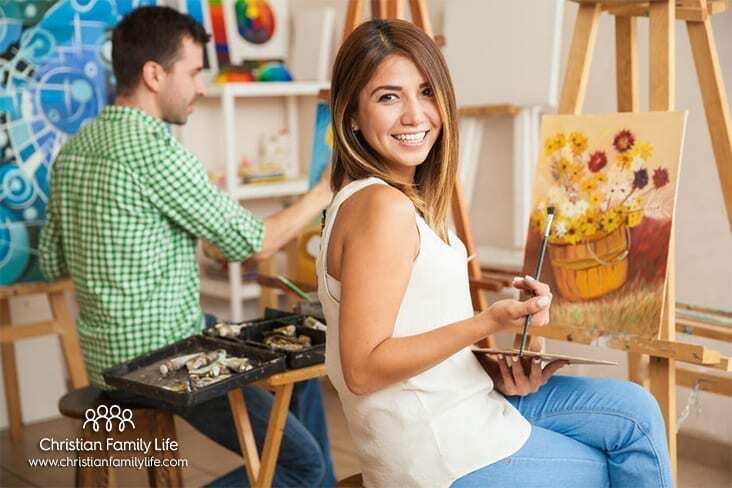 Are you willing to be patient as The artist of all artists continues perfecting his work?